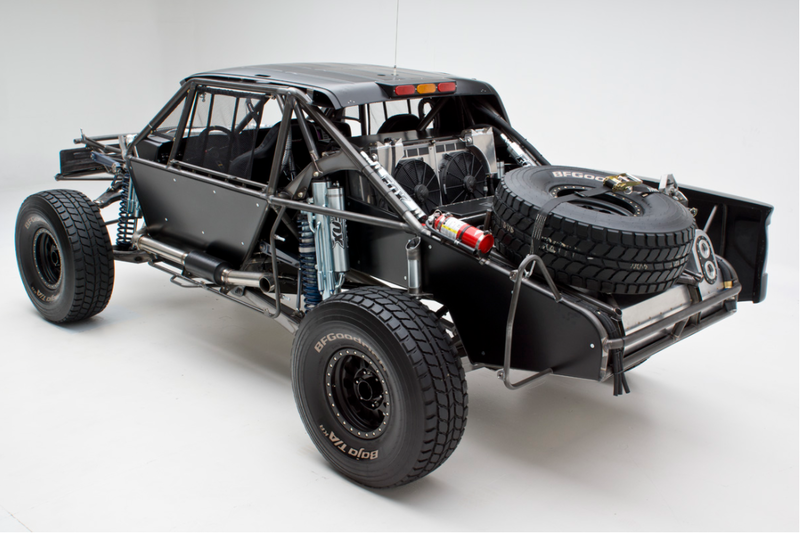 In the world of offroad racing, Jimco is one of the most respected names in the industry. 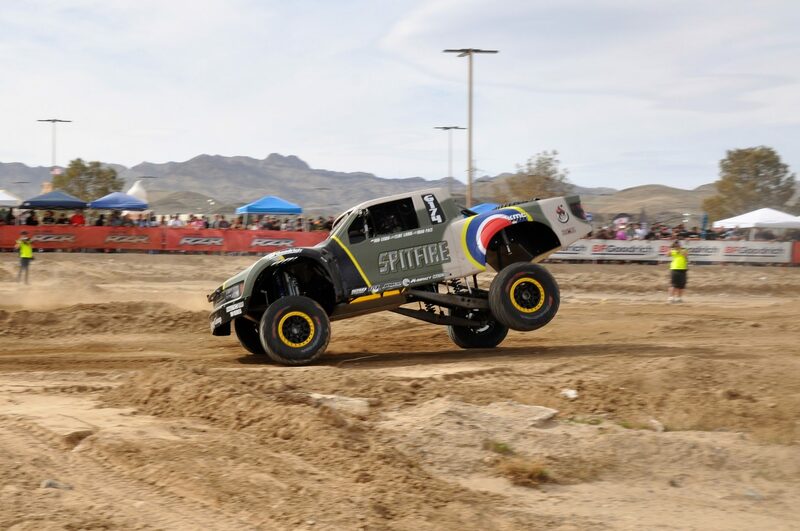 They build offroad vehicles for almost every class of desert style offroad racing. 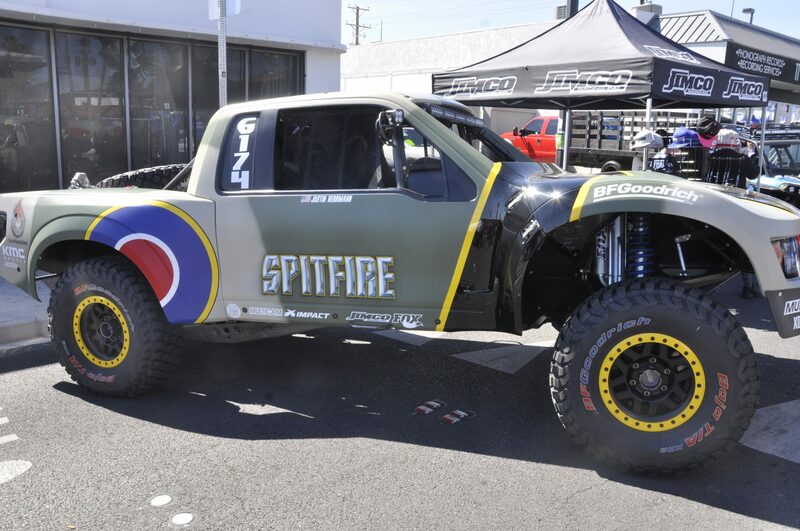 They are responsible for the incredible truck Justin Loftin used to claim back to back Mint 400 victories in 2015 & 2016. 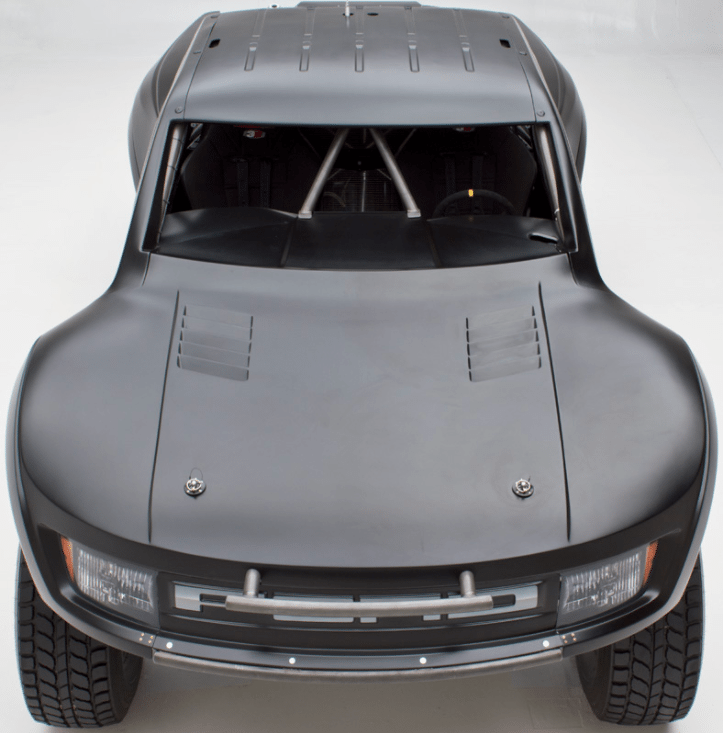 And while the top of the line unlimited Trophy Truck will cost you anywhere from $600,000-$1,000,000 depending on what you have done to it, there is another option that won’t cost you a small fortune. 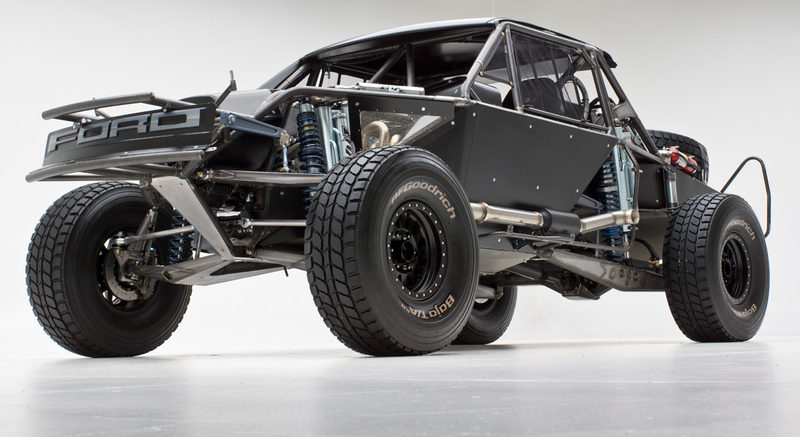 They call it the Spec Trophy Truck, also known as the 6100 series. I wouldn’t go as far as to call it a “cheap” or “inexpensive” to get into one of these either, but for the level of performance that you get, it’s totally worth it. 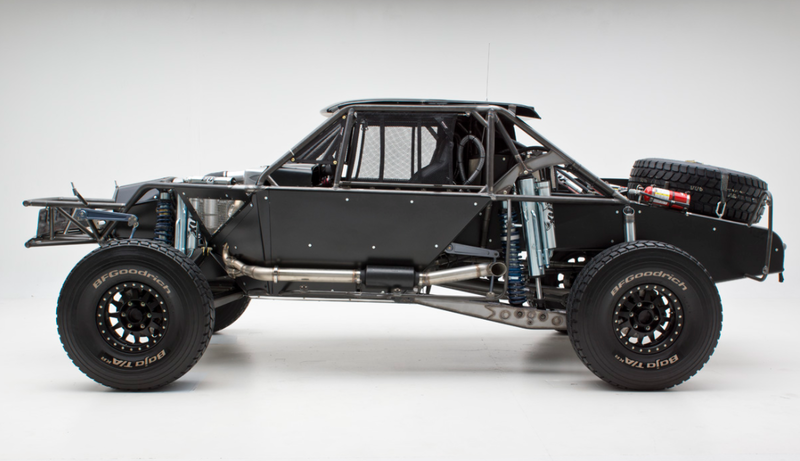 The main difference between an unlimited Trophy Truck (aka Trick Truck) and a Spec Trophy Truck is the engine, as well as a few other small things. 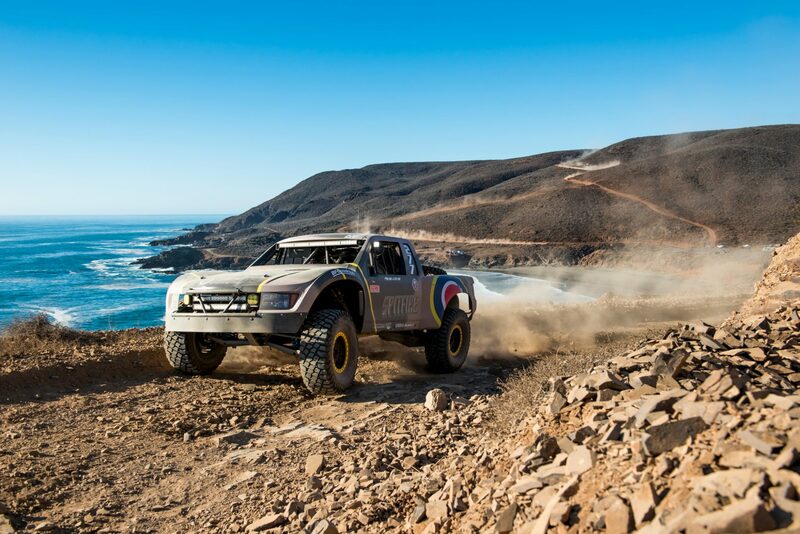 An unlimited TT is what you see the big names like Bj Baldwin, Jason Voss, and Bryce Menzies compete in at races like the Mint 400 and of course the Baja 1000. Those trucks have engines producing at a minimum of 850hp and can get up close to the 1,000hp range depending on the application. The Spec TT or 6100 series truck must have a stock spec motor, usually an LS3 or the Ford equivalent, that will put out roughly 430hp or something in that range. 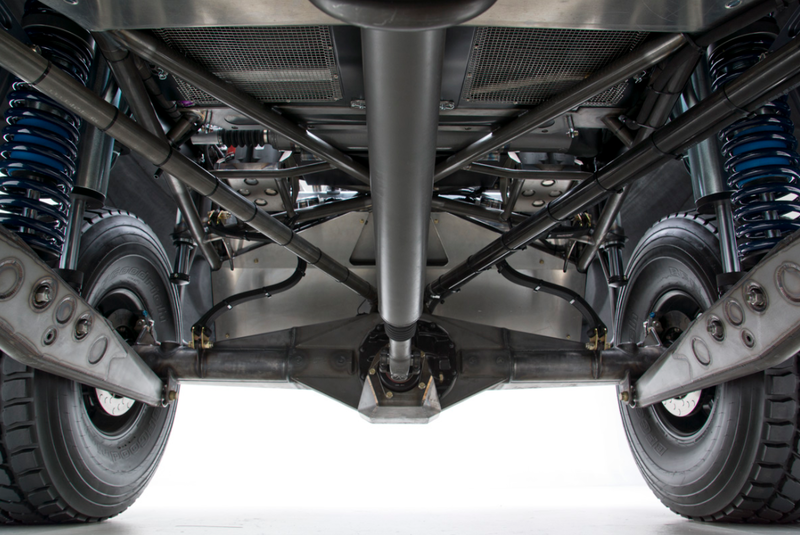 There are a few other small differences that I might be overlooking, but the point is most of the important parts are the same in both trucks. Think of it as the minor leagues compared to major leagues, everything is the same but the players are just a little bit better in the majors. And thanks to companies like Jimco, you can buy turnkey Spec TT’s that are race ready and more than capable of blasting through the desert at breakneck speeds. Take this beautiful beast for example. 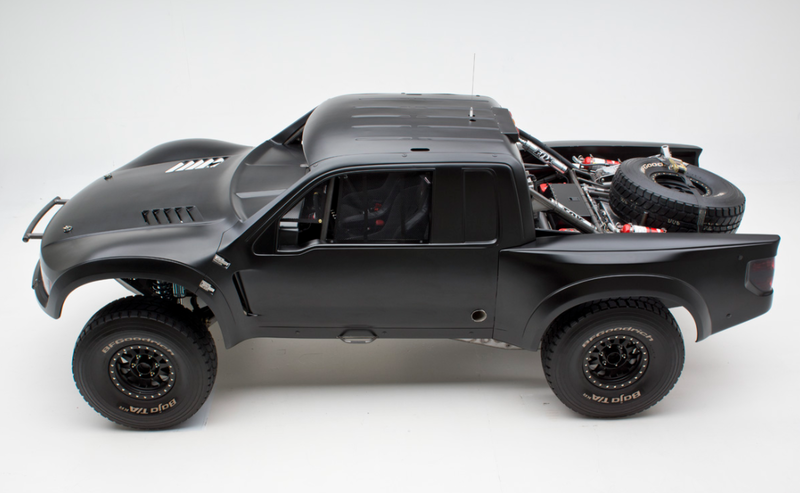 It’s the Spec Trophy Truck built by Jimco and while it might loosely resemble a Ford Raptor, this truck will make the Raptor look like one of those toy Power Wheels. And I don’t say that lightly, you all know I adore the Raptor, especially the first gen. I’m even starting to fall for the second gen with its ridiculous sounding twin turbo V6. To give you an idea as to how incredible these Spec TT really are, let’s talk about what some of the key features are that come on it. First and foremost is the suspension system. 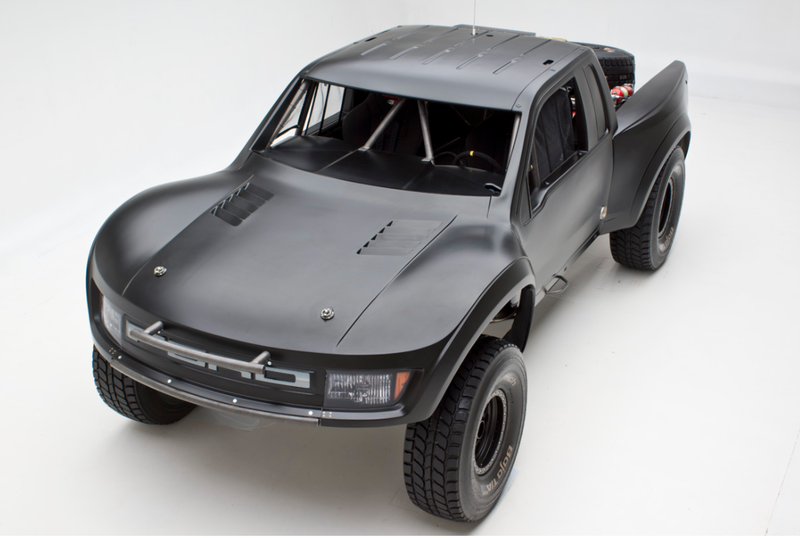 That in itself is one of the main things that separate these race trucks from something like the Raptor. The suspension travel is second to none thanks to highly sophisticated race shocks with bypass technology. Upfront, this Jimco Spec TT gets Fox Racing 4.0’s which allow a full 26″ of travel, that’s over two full feet of travel! 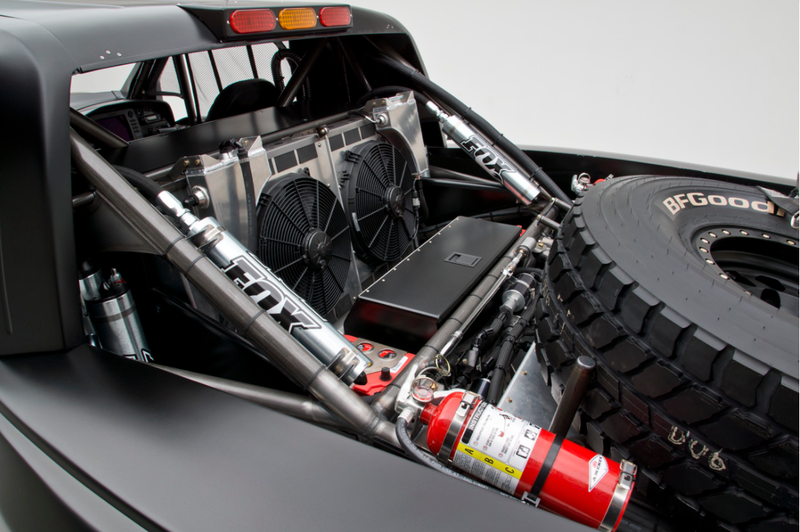 The rear is a custom 4-link system that gets Fox Racing’s 4.4 full bypass shocks that allow a staggering 32″ of travel. As a comparison, the second Gen Raptor has approximately 13′ up front and 13.9″ in the rear thanks to the Fox Racing 3.0 Bypass shocks. 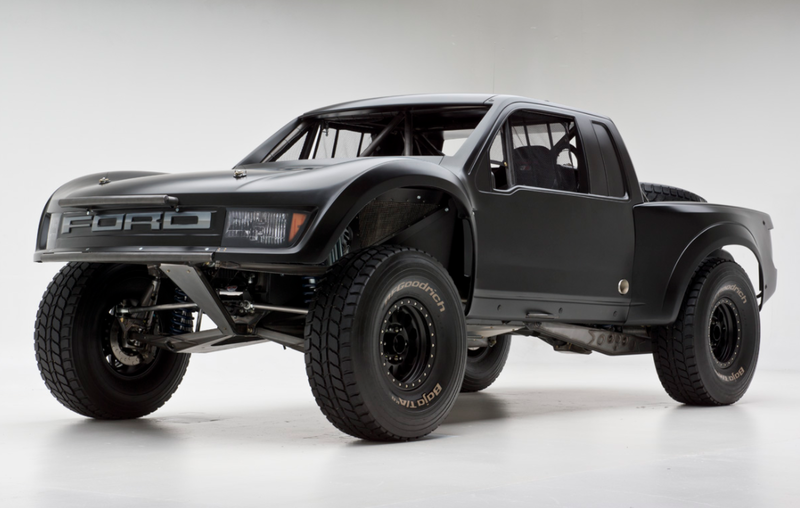 And keep in mind that’s comparing it to the Raptor, which is by far the most offroad capable stock truck on the market. It would be well over double the travel if you tried to compare it to something like a stock Silverado or Tundra. 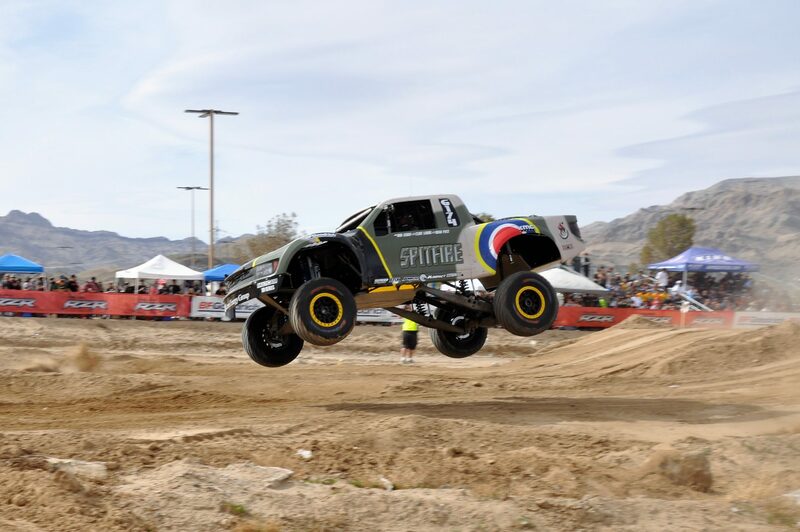 Having that much play in the suspension is how these trucks are able to smash through the desert at 100+mph over whoops, rocks, and jumps that would literally destroy a stock truck and reduce it to a pile of rubble. 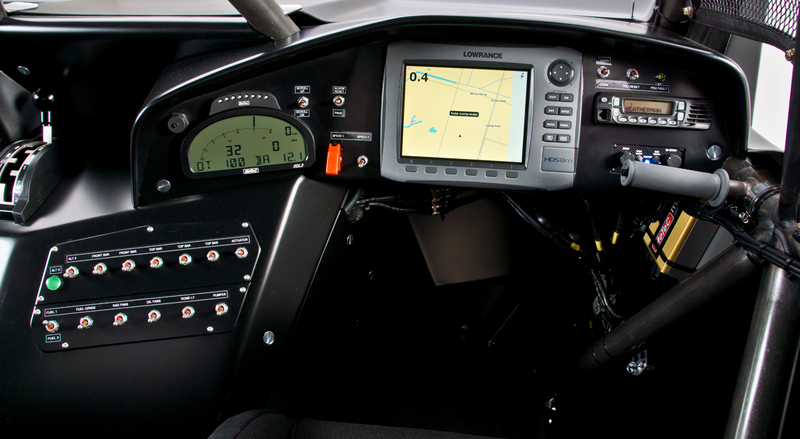 When you’re going that fast, the spec engine is burning fuel at a drastic rate. It’s estimated that at best, these trucks average about 2-3mpg. 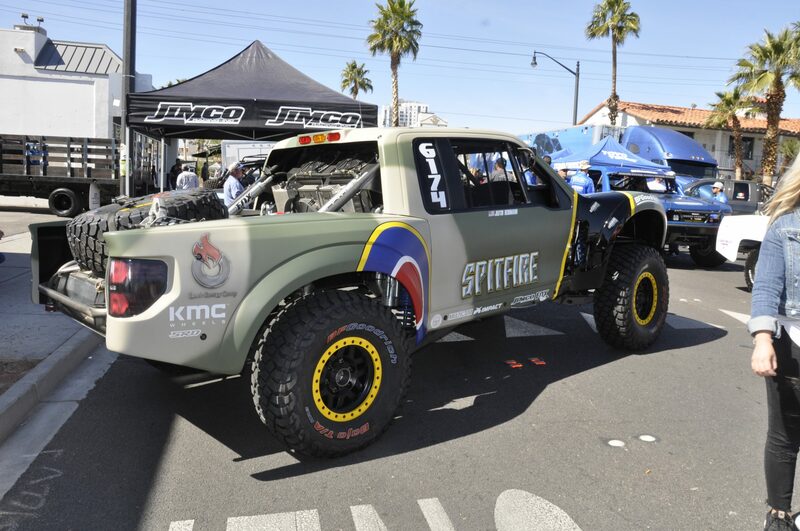 So to prevent having to pull over every 50 miles for fuel, Jimco installed an 80-gallon tank that will at least let you get halfway through the Mint 400 before needing to stop. Speaking of stopping, it’s also pretty important to be able to stop when you want to. Jimco has you covered there too. They installed massive 6 piston brakes to help bring this beast to halt in the event that you come flying up on slower traffic and they don’t hear your sirens blast telling them to get out of the way. Which is impressive because one thing these trucks are not, is lightweight. Normally with any sort of race vehicle, less weight is always better. But what’s more important in this application is both durability and keeping the vehicle planted through rough terrain. 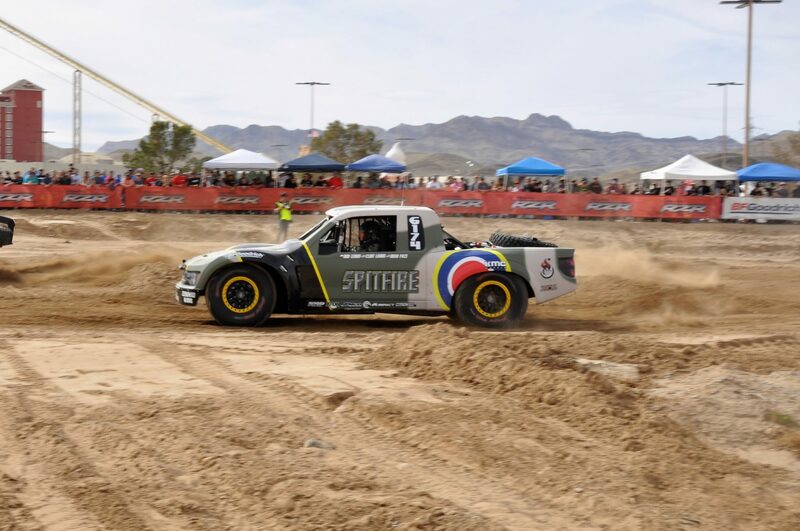 Even the short races that these trucks are competing in are at least 250 miles long and the longer ones are up over 1,000. And to have a truck that’s durable enough to handle some of the harshest terrains on the planet for 1,000 miles, the last thing you’re worried about is lightweight materials. Jimco uses 37-inch BFG tires on the Spec TT, which is 2-5 inches smaller than the ones seen on most of the unlimited trucks, but still big enough to handle whatever is thrown at them. Just in case you push the truck beyond its limits and you have an accident of some sort, Jimco has you covered there as well. The truck is fitted with top of the line safety equipment including a roll cage, netting and of course 5-point racing harness for seat belts. As I’ve pointed out a few times now, this truck is so badass looking that it could almost be considered beautiful. When you see the level of detail and the craftsmanship involved with making one of these trucks you can easily see how Jimco has been named one of the top chassis builders by Score International, for 21 straight years. Jimco brand race trucks have been used in competitions all over the globe and with many satisfied customers on record, you know that when you buy one of these turnkey models, you’re going to get a truck that can compete with the best in the business right out the gate. And that must be an incredible feeling. I searched for an estimated price for one of these race ready trucks and the best I could find was at a bare minimum you’re looking at in the $200,000 range, however that has not been confirmed at this point. Like I said before, it’s not even close to cheap unless you compare it to the unlimited trucks. But you can’t tell me it wouldn’t be money well spent to own one of these bad boys. After all, you get what you pay for right? There is no way you’re getting one of those race ready for 200k. Not even close. You can find used ones for 150k and up, lots of those for sale. People buy them cause they think they’re gonna be affordable and then they find out to be even close to competitive you’re gonna need a 6 figure budget to doa couple races a year. It’s like saying F3 is cheap, maybe compared to F1 but not really.